Everyone who had an NES knew of Nintendo Power. The yellow and red titled magazine with its often amazing cover art, packed with news and strategy guides, unbelievably colorful designs. It was so much to look at, so much to read. It was entertaining as it was informative. 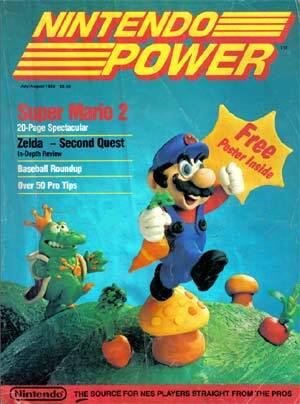 After 24 years of business, the closing of Nintendo Power is a big deal. As December is the last issue of Nintendo Power, writers at gaming sites are chiming in on the impact the magazine had on their lives. Not so much about recent successes by the magazine, but in the victories of the past. The artwork was probably my favorite part about the gaming magazine. Nintendo Power took the extra effort to either create their own artwork or use colored artwork from the game itself. The gamer’s guide for the original Final Fantasy was one of my favorite, as was that for Final Fantasy III (we now know as the sixth title). In the former, several pieces of new art were developed, with western style fantasy settings. The art added to the game guides really added to the beauty of the magazine, and helped us to imagine details the game art didn’t provide. For the latter of the two, general acceptance of Japanese style fantasy artwork was more widespread in the mid 90s, resulting in my first exposure to the work of Yoshitaka Amano. That’s right, the gaming magazine helped expand cultural knowledge. Another aspect that surprised me was the intense effort at creating solid strategy guides. Nintendo Power really set the standard for writing them, with everything from character analysis to monster glossaries, maps, battle tactics and strategy. They found everything you wanted to know. Almost all future gaming guides emulated Nintendo Power‘s informative approach to writing strategy guides. And then there were the comics. The earliest ones were comedy pieces involving Nester, the Nintendo Power mascot. 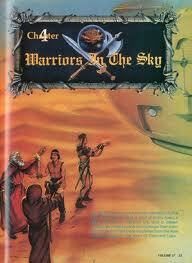 But during the SNES age, we started to see some real comic book style pieces. These included The Legend of Zelda: A Link to the Past by Shotaro Ishinomori and Super Metroid. Now that was some serious entertainment value. The Nintendo Power that I remember is long, long gone. The internet revolutionized everything. Why bother with magazines when GameFAQs and individual game wikias can help with strategy? Why bother subscribing when sites like IGN offer the news and reviews? But as nostalgic as I am, it’s just one of those things from one’s childhood they cannot really have back. All that remains are the memories. I believe I have contracted a very small case of otitis externa, better known as swimmer’s ear. Normally, this occurs in swimming pools, where the chlorinated water just results in the discomfort of water in the ear canal. However, ocean water is no where near as clean. I’ve never had an illness quite like it. On the first day came some swelling in my ear. It was not visible, but I could not close my jaw all the way on my left side. Hearing in my ear was a bit difficult. It ached a little at times and made me dizzy, a result of balance impairment. On the second day, the dizziness and swelling were gone and I could close my jaw again. However, I felt nausea and just “ick”. On the third day, these symptoms were gone and replaced with a swollen and stuffed nose. Whether this is allergies or some expansion of the sickness, I cannot say. Today, my nose is mostly clear and I only have some mild scratchiness in my throat. I’ve never had an illness as transitional as this was. But I feel relatively fine now. If you haven’t heard of The Trenches yet, consider yourself informed. Created by Mike Krahulik and Jerry Holkins of Penny Arcade, and Scott Kurtz of Player vs. Player, The Trenches tells its tales via a fictional comic combined with small true-as-far-as-word-of-mouth-goes stories from anonymous QA testers. I’ve no doubt that some stories are embellish and a few might out-and-out false, but the fact that people are taking the time to report so many of them is telling of legitimate problems in the industry. I may redirect your attention to an previously mentioned article about QA testing over at IGN. Calling attention to these issues is probably the best remedy however. As more people discover that there isn’t much glamor in QA testing for video games, fewer people will be willing to do it. A smaller labor pool will give more power to testers. And although I doubt they can hope for much in the way of increased pay, they can (and should) try to request on-site job skill courses during non-crunch times. This would increase their value and pave the way to better careers, whether at their current company or the next. Both Kotaku and IGN have released stories about the shareholders meeting over at Square Enix. And the reasoning they provide as to why they haven’t created a remake actually makes perfect sense: They have yet to make a Final Fantasy better than VII financially and critically anyway. Although in all fairness, the most financially successful Final Fantasy was the first MMORPG, XI. I had to add financially and critically. There’s always that guy who is quick to say, “FF7 was not my favorite,” as though their opinion obviously meant all the difference in the world. So the gist of what we’re told is that if they do a FF7 remake before topping the game, then the Final Fantasy series is finished. That would be admitting that they cannot do any better than their crown jewel of the past. So until Square Enix is in a dire financial situation or they finally do come out with a title that tops FF7, it’s not going to happen. I, however, have a slightly different theory as to why Square Enix doesn’t want to do it. Pride. 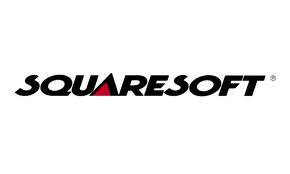 Hironobu Sakaguchi left the company Squaresoft in 2004, after the colossal bomb that was Final Fantasy: The Spirit Within. Although he did not direct a game since FFV, his creative touches were felt in the well remembered VI and VII (and several others). To not make a game better than those Sakaguchi helped to create is to admit that they will never be as successful as they once were. And that’s not a message of weakness Square Enix would want to send. 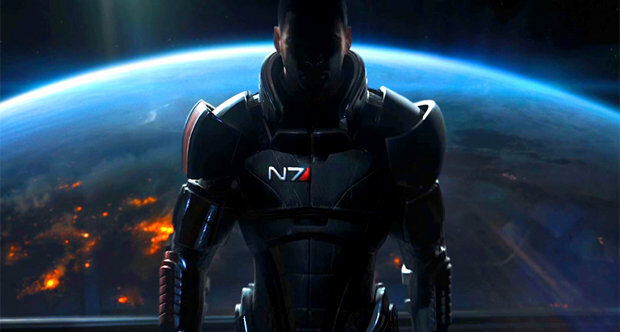 While cruising IGN today, I was surprised by an article that some Mass Effect 3 fans were angry about the ending (no spoilers in the link). I have no idea what their issue is, because I’ve only just finished Mass Effect and have no plans to get the second until I’ve unlocked every achievement. But this news certainly makes me want to step on the gas. But before I really go crazy on Mass Effect, I want to finish my anthology. The good news is that I’ve gotten positive feedback on my first two stories. One story seems about fine, might need perhaps a few hundred more words to expand the protagonist’s background. The other story could make do with another scene to further expand the antagonist. But the good news is that both stories require expansion andnot rewriting and story “refactoring.” Writing a plot is like writing code. And like code, if there’s a fundamental flaw in the design, the entire program is doomed to failure. But the news is good and I am feeling confident that the story will turn some heads. Inspired by Brink, I have added basic parkour to my morning workouts while jogging. I’ve actually been doing this for two months and it is a great way to expand the workout regime. But I’m careful not to do anything that would tick off pedestrians though, nothing crazy like leaping off the wall and pulling myself on the overhanging platform above the theater (despite how often I daydream about it). Just leaping over low fences, rolling in the grass of the park. But you know that phrase, “Skateboarding is not a crime”? To my knowledge, I’m the only guy in my town who adds parkour to his jog. But if more people start, then accidents and damage can occur. Too many people start parkour and suddenly the local county government will ban it. So I just watched the first (and thus far only released) episode of Awake. The premise is simple if a bit strange; a detective, his wife and his son were involved in a car accident. The detective then isn’t sure if he’s awake or dreaming, when he goes to sleep, he visits two worlds. In one, his son survived but his wife didn’t. In the other, vice versa. And somehow, the details of his cases in one world reflect the other, despite the fact that (thus far) the crimes are different, but committed by the same person. 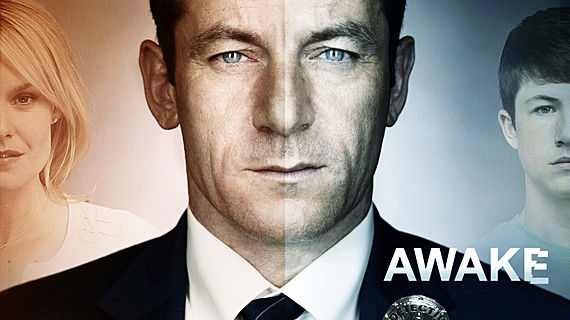 After finishing the episode, the sneak peek of the next episode immediately brings up hints about how and why this detective, played by Jason Isaacs, is experiencing these two alternate worlds. Desperate to keep their baby alive, the show’s producers put the detective’s son on the line in the next episode, hoping that a snap of drama and the possibility of finding out the origin of this psychological phenomenon will keep audiences hooked. I have to say that this kind of bugs me. For some reason, it feels like American audiences (or at least our television and movie producers) have an obsessive need to clarify the origins of everything unusual. While the origins of a problem need to be clarified in order to diagnose the solution (as House would be quick to remind us), does every situation or every character need a completely fleshed out background story? To understand the nature of my complaint, take a look at the past three Conan the Barbarian movies. In the first with Arnold Schwarzenegger, and the rebooted third with Jason Momoa, the developers felt they needed to explain Conan’s childhood and origins. What makes this strange is that Robert E. Howard never actually clarified Conan’s origins. The only crucial detail* Howard ever gave was that his father was a blacksmith, and that Conan had a wandering foot. The two origin stories where Conan was taken by slavers and the other where his father was slain by a power hungry madman were never part of the original Conan tales. I remember reading (though I can’t recall where, probably IGN) about the new and rebooted Spider Man movie coming out. The author suggested that Marvel skip the whole origins story. I couldn’t agree more. It’s been done, we get it, we don’t need to hear it again. Not only do I recall it from the first movie, I have seen it retold in no less than two animated series. Do heroes and villains always need origin stories? Heather Ledger’s Joker didn’t in The Dark Knight. Look how unforgettable he was. I guess I ask all this because of my own writing. I would say about two thirds of my tales have addressed origin tales for both heroes and villains. Yes, even villains who die off at the end of the story get origins and reasoning, an explanation for their dastardly deeds. They hurt people because it is worth their time too. And probably because they enjoy it. I guess it worries me because one of the heroes of my stories does not get a background. There is a story of course, about all the other supporting characters and the villain but not for the hero himself. Or perhaps I’m going about this wrong. Maybe he isn’t the hero, but an element that just happened to be there to help the main characters. Man, am I glad the story is only in draft form. * – There are details I missed/forgot in my first draft, but Howard did keep Conan’s origins fairly vague. Thanks to Al Harron for this tip and correction. Not feeling too great right now. On the bright side, got Space Marine set up and jamming away at it. While not perfect, it is a most satisfying experience and worth it. It’s still slash and hack heavy, but the experience is better than I was expecting. I’ll write and post the first half of a review today. IGN is rushing to finish a review of their own. I suspect other companies are having similar problems. Oh, more good news. My writing sample for the Xaphan submission has come back and is ready for editing. I keep saying Friday, but I suspect it should probably wait until Monday to be finished. Back soon. Food. I’m thinking California Tortilla. P.S. This post just happens to be the 41st. Very apt number.